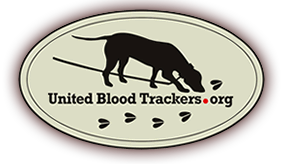 (e) Before the beginning of the recovery, the handler of the dog shall notify the district game warden of the involvement of the dog in the recovery of the big game animal and provide to the district game warden the contact information of all parties involved in the hunt and the location in which the big game animal was tracked. Artificial light may be used in the recovery process of big game animals. For purposes of this section, "recovery" means the time after a firearm or archery equipment is used in the taking of a big game animal until the expired animal is located.